What Does Code P0703 Mean? A brake switch mounted at the brake pedal provides a signal when the brake is depressed. It signals the control module (Computer), which could be the TCM (Transmission Control Module), BCM (body control module), or PCM (powertrain control module body control module (BCM) that the brake is applied or released, and the TCC (Torque Converter Clutch) should be released. The brake switch is also called a brake on/off (BOO) switch. These modules monitor the brake pedal position sensor. When the brake pedal is applied, the control module detects a predetermined voltage signal and sends a serial data message to the engine control module (ECM) indicating the status of the stop lamps. 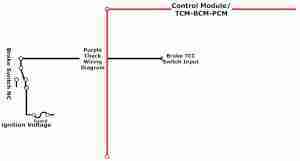 The control module receives a signal from the brake or TCC switch (Brake/TCC switch are usually part of the same switch assembly) that tells it the driver has pressed the brake pedal. This switch is normally closed and receives an ignition switch voltage through a fused circuit, so the control module sees ignition voltage unless the brake pedal is depressed. The control module has detected accelerations and decelerations with no brake switch change. NOTE: Whenever diagnosing a 700 series DTC (Diagnostic Trouble Code) with a transmission, transfer case or other driveline components, check for diagnostic trouble codes (DTCs) under chassis and body systems, not just under “P” or powertrain/engine or emission control type codes. Module communications DTCs are “U” codes. These are most often found when looking for DTCs under chassis or body systems. Chassis related codes are labeled “C” and body system related codes are labeled “B” codes and these can cause drivetrain issues if they affect a sensor that is also used by the heating and air conditioning system. 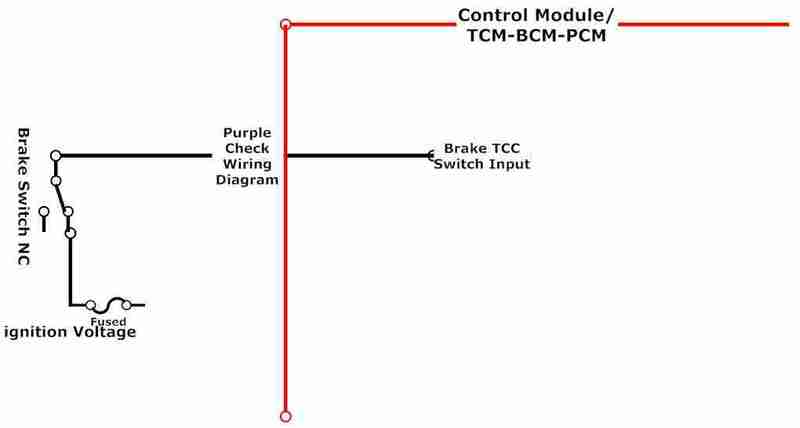 The DTC P0703 diagnostic code will set when the brake pedal position (BPP) TCC (Torque Converter Clutch) switch signal is not received by the control module: BCM, PCM, TCM, ECM). This is a high/low signal, the computer either receives a voltage signal or not. What are the common causes of code P0703 ? What are the symptoms of code P0703 ? Verify that DTC P0572 or P0573 is not set. If either DTC is set, refer to DTC P0572 or P0573. None found. Ask a question about P0703. I have a code on my jeep grand Cherokee Laredo , it is po703 transmission selinoid A. What does it mean?